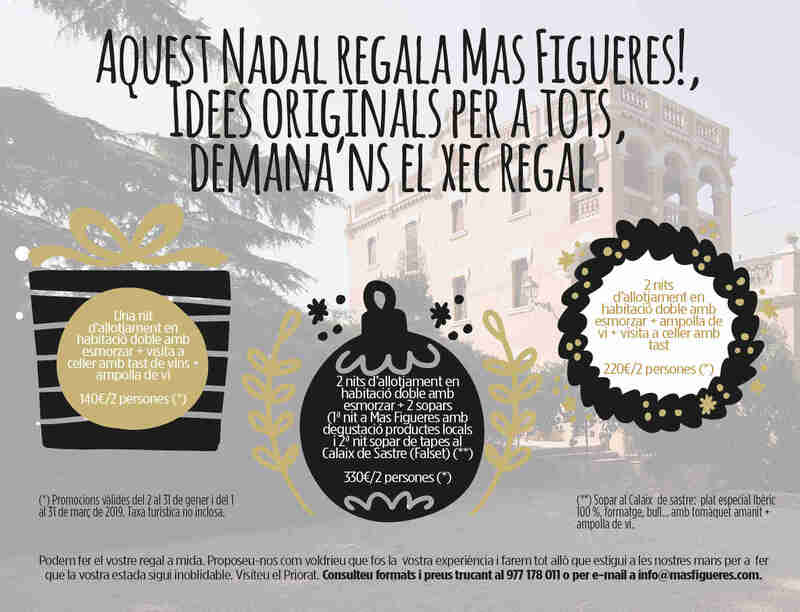 This is a small set of the promotions that Priorat Enoturisme will realise in the next months. You can enjoy the complete offer of activities here. Wine, gastronomy, landscape, culture … The Priorat is all this and much more. Be original and give away experiences that your friends and family can live and remember. Give away Hostal Sport. 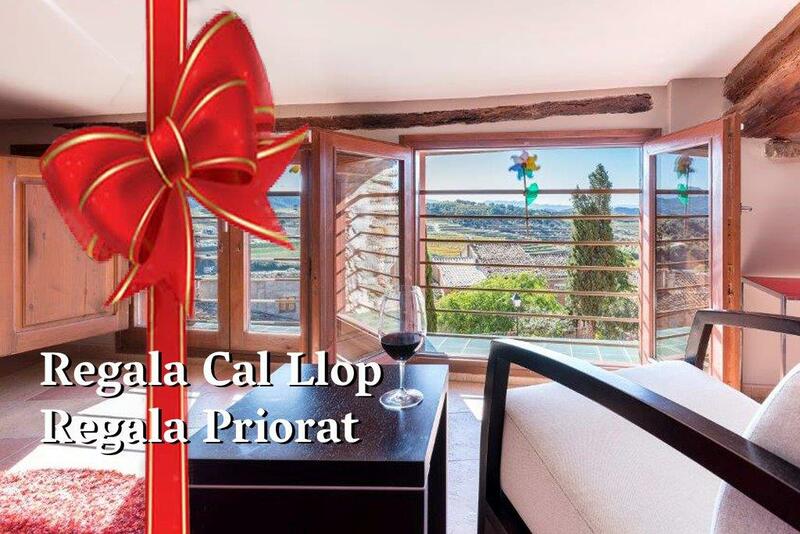 Offer an experience to share… Give gastronomy, wine tourism, wellness… Choose Lotus Priorat packages. Original ideas for all in rural Indian air hostel dating back to the early 19th century, a very special place to spend a few days. 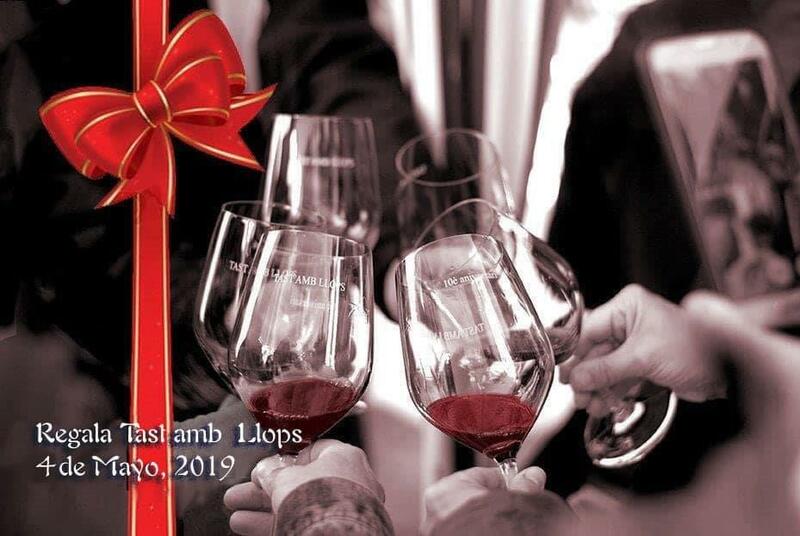 Ask for your gift box and enjoy the best Priorat. 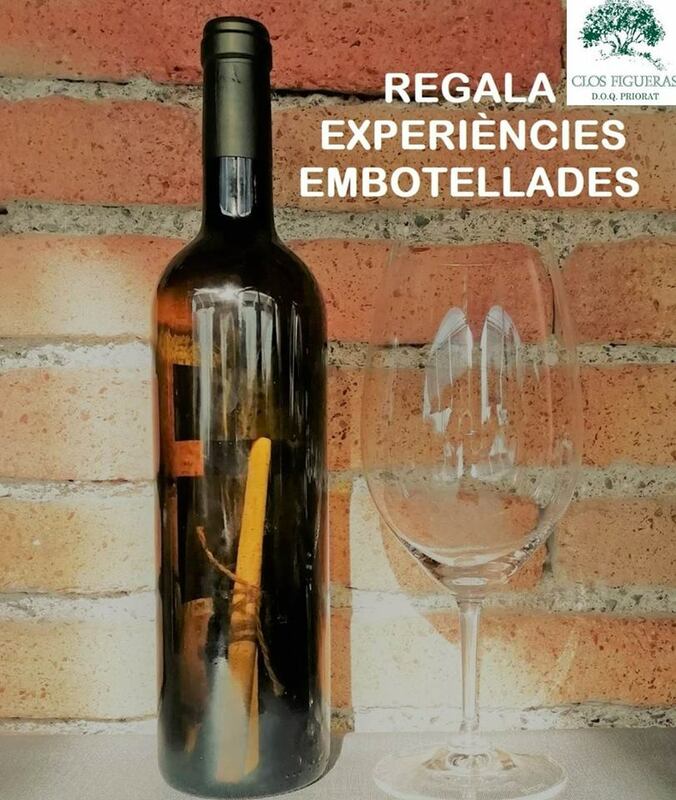 Give an experience from Celler Masroig! If what you like is good food, give the territory to the plate. The Priorat today is one of the world’s most prestigious wine regions. The DOQ Priorat and DO Montsant are major players on the wine scene in Catalonia and in Europe. The blend of tradition and modernity, nature and agriculture, depth and crispness, give their villages and their wines – made primarily from the grenache and carignan grape varieties – a uniquely distinctive character. The essence of the Mediterranean is to be found in the Priorat in the stunning beauty of the Montsant nature park, overlooked by the clifftop village of Siurana, a crossroads of ancient cultures; Muslims, Jews and Christians populated this land steeped in mystery. The soul of the Priorat lies in the former monastery of Scala Dei: there you will discover that this is a sacred land where the light alone invites contemplation. Our door is always open to wine lovers and seekers after excellence. 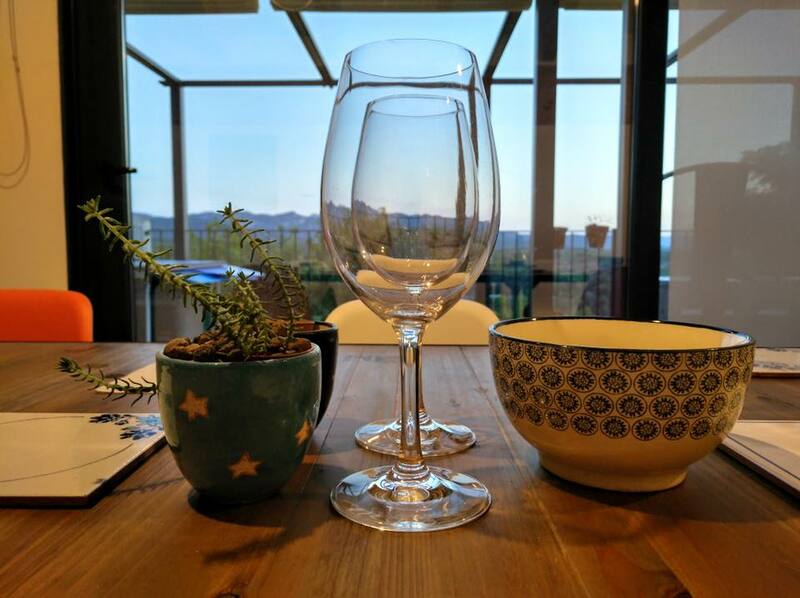 The Priorat is a wine region with a small but lovingly-crafted output, which is why we focus on distinctly intimate visits and activities to help visitors to understand the unique qualities of the area’s wines and olive oils. Our approach is highly personal, as this is the best way to inspire an understanding of our terroir. 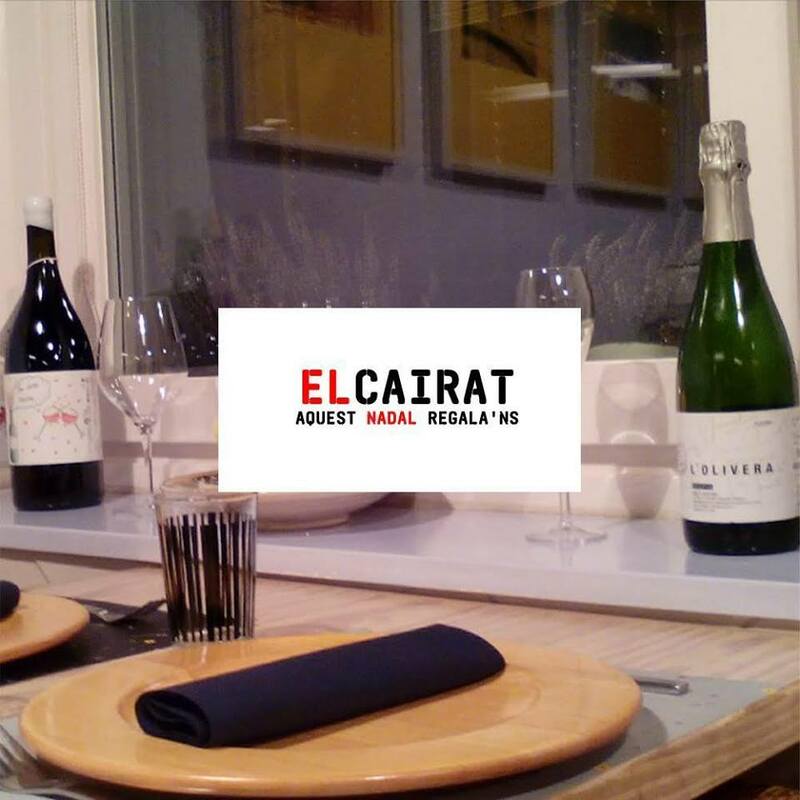 Our aim is to present a distinctive region with unique wines and quality local cuisine. Architecture and heritage, our cultural legacy and the beauty of nature are everywhere. The seasons in the Priorat are shaped and defined by the setting, the climate and tradition. A peaceful place steeped in history, where the land inspires us to experience, see and appreciate what we have around us and to go on working to make all this sustainable. Visiting the wineries, tasting the wines and wandering the landscapes of the Priorat are experiences that will remain with you for the rest of your life.